It’s a new season for Lark softball. Head Coach Andrew Sharp leads the team for the 10th year, but it will also his last in charge of the Hesston College program. Coming off of two consecutive winning seasons in the ultra-competitive National Junior College Athletic Association (NJCAA) Region VI, the Larks look to continue that momentum as the join the Kansas Jayhawk Community College Conference (KJCCC). The team’s strengths this season will center around the idea of team unity. The Larks desire to be on the same page and bring an eagerness to compete. “We expect to hold a daily standard of a team-first mentality,” said Sharp. “We are off to a good start and I expect we will be completive throughout our conference schedule”. The entire freshman class is expected to step up right away. This will allow the team to find that competitive edge from day one on the diamond. 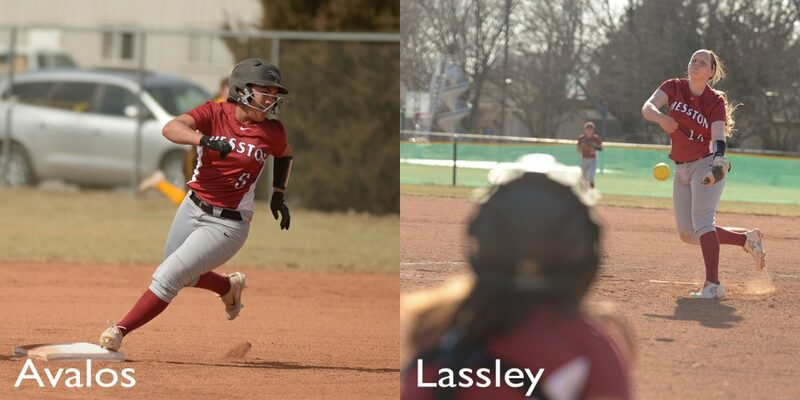 Lexi Avalos and Kaylen Lassley are the two top sophomore returners on the Hesston College roster. They will contribute at a high level of both offensively and defensively. The team is strong up the middle and will rely on three pitchers to add depth, talent and flexibility to the lineup. The Larks will open their season at home on Saturday, February 2, as they take on Tabor College JV here in Hesston. First pitch will take place at noon. They will follow that with a road trip to western Kansas to take on Dodge City and Garden City Community Colleges. The will return to Hesston for a Wednesday matchup vs Central Community College on February 13.